This charming Ojai restaurant is nestled in the heart of one of Southern California s best kept secrets. Known as a spiritual sanctuary, Ojai is also recognized for its lush green valleys, beautiful hiking trails, vineyards and abundance of cultural events and local organic agriculture. The restaurant, which has operated since the 1980 s, includes a liquor license, live music permit (allowing for 3 non-amplified musicians) and large outdoor patio offering customers panoramic mountain views, while enjoying any of the well-known menu items or cocktails. The business s main-street location provides it excellent street visibility and foot traffic, while including sufficient parking via its adjacent lot and nearby street parking. Location and Facilities: This 6,400 (1,800 interior space plus 4,600 patio) square foot facility leases for $3,100 per month on a lease valid until 2017 with a five year option. 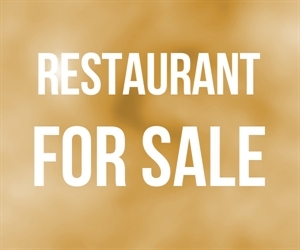 All of the business assets shall transfer in the sale including the furniture, fixtures, equipment with full kitchen, Type 47 Liquor License, name, menu and goodwill. Inventory estimated at $10,000 will be sold in addition to the purchase price and valued at cost at close.